$1.1 trillion: the amount of retail sales affected by the Internet. That just shows just how important your website and online marketing are. That’s 36% of all retail sales. Among US small business owners, 86.6% regard their websites as their most vital method for digital marketing. So it’s not really the apps or email marketing which you need to focus on. Bad web design is the main reason offered by 94% of visitors who don’t trust a website. Essentially, it’s the only reason why people will mistrust your website. They don’t mistrust your website because of the content, or the name of your company, or even the product you’re offering on your website. It’s how you present all these things that’s the problem. Appearance and usability—these are the things that are important, and what a fresh website redesign can offer. The bounce rate doubles when your loading time is more than 4 seconds. And even if your loading time is a little more than 3 seconds, on average about 40% of the visitors won’t wait. So ideally, it should be in the 2-second range. After a page has loaded, a visitor forms an opinion after only half a second. So it’s not about the info they glean from your site that decides how they think of you. It’s the overall presentation of the info. About 62% of companies which began to a website that works well for mobile devices boosted their sales. So is your website suitable for mobile? Because if it’s not, then this improvement in your design offers considerable benefits. Almost half of mobile users have problems with websites. 48% say they will abandon a website when it’s not working correctly, because it’s a sign that the website owner doesn’t give a damn. 44% say they often can’t navigate correctly through a website, while another 46% report that they can’t interact easily with a website. Again, are you sure your site offers an optimum user experience for mobile users? 88% of visitors say they’re not likely to return to a site when they have a bad user experience. So ask yourself, is there something in your site that offers a potentially bad experience? These things do give you something to think about, right? 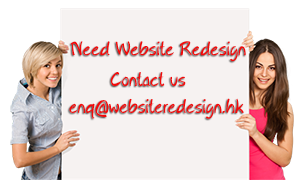 So are you sure you don’t need a web redesign for your site?